Nearly 100 young people in Ho Chi Minh City on July 10 began their volunteer trip to neighbouring Laos as part of the “Red Holiday” and “Green Summer” campaigns launched by the city. During the 12-day programme, the volunteers will provide free health check-ups and medicines for residents in Attapeu and Champasak provinces, and transfer farming methods to them. They will also present learning tools and scholarships to the two provinces’ youth unions, organise cultural and sports exchanges with local youths, and hand over a friendship house to the two provinces. 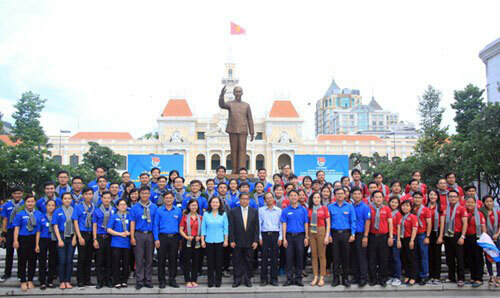 According to the Ho Chi Minh Communist Youth Union’s chapter in HCM City, such activities aim to promote the solidarity and friendship between the two countries’ young people while increasing international exchange activities for local youths as part of the city’s international integration process./.